Call Us First for Your Next Excavation Project! Jason Abel Construction, Inc. is a grading and excavation contractor who has been in business for 44 years. We offer quality earthmoving, ground excavation, land grading, soil compaction, and underground utility services. Over the decades, we have worked with small and big businesses, local and state governments, and other contractors, developing a reputation for being professional, reliable, and skilled experts. 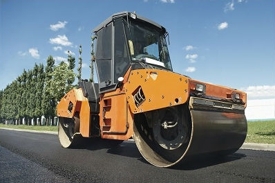 Whether you need land clearing and grading for a new road in your development, asphalt paving for a parking lot, or grading for new construction, our service has the resources to meet your needs. With us, you can trust that we will make certain the job is done right - on time and on budget! Call to Speak With an Excavator Now! Copyright © 2018 jasonabelconstruction.net All rights reserved.